Would you please mind telling me if Luther said this? To put this remark in perspective, it was made four years before the publication of Copernicus's book On the Revolutions of the Heavenly Spheres. Another version of the same conversation by John Aurifaber uses the expression "that fool" (Der Narr) instead of "that fellow". It is the expression "that fool" which has led to the intemperate remarks about Luther mentioned earlier. Lauterbach's version of the "Table Talk" is generally more reliable than Aurifaber's version. Even if Luther had called Copernicus, who was not mentioned by name, a fool, that would have been a rather mild epithet coming from Luther. The "Table Talk" was based on notes taken by students of Luther. The notes were compiled and first published in 1566, twenty years after Luther's death. Thus the remark cannot be construed as part of a concerted attack on Copernicus or Copernicans. The use of the word "astrologer" in the introductory remarks should not necessarily be interpreted as disparaging, since at that time the terms "astrologer" and "astronomer" were often used more or less synonymous. It is safe to say that even had there been no religious scruples whatever against the Copernican astronomy, sensible men all over Europe, especially the most empirically minded, would have pronounced it a wild appeal to accept the premature fruits of an uncontrolled imagination, in preference to the solid inductions, built up gradually through the ages, of men's confirmed sense experience... Contemporary empiricists, had they lived in the 16th century, would have been the first to scoff out of court the new philosophy of the universe. Genuine evidence for the Copernican system had to wait until the work of Johannes Kepler and Galileo in the early seventeenth century. Acceptance or rejection of the system before that time had to be based on nonscientific grounds, such as mathematical simplicity. Herbert Butterfield dates the breakdown of the Aristotelian-Ptolemaic system from the time when Galileo (circa 1600) formulated the principle of inertia. This principle, which states that a body moving with constant velocity continues to move with constant velocity unless acted on by an external force, helped to explain why everything would not fall off the earth if it were in motion. Of course, the earth does not move with constant velocity around the sun, so the Copernican view was not fully accepted. For most of the seventeenth century, the Copernican system competed with other alternatives, including Tycho Brahe's system which held that the earth is stationary, the sun revolves about the earth, and the other planets revolve about the sun. Only after Isaac Newton formulated the universal law of gravitation and the laws of mechanics, which unified terrestrial and celestial mechanics, was the heliocentric view generally accepted. Newton published his results in the Principia in 1687, almost 150 years after Luther's offhand remark. 2. Diminishing the relevance of the statement by noting it was made four years before the publication in 1543 of Copernicus's book On the Revolutions of the Heavenly Spheres. First, regardless of whether Copernicus was described as "that fool," from either version Luther clearly states, on a Scriptural basis, the geocentric view and rejects Copernicus' heliocentrism. Second, Copernicus' heliocentric ideas were in fact circulating among scholars in the 1530s. In 1514 Copernicus had provided a short manuscript on his heliocentric theory, "A Commentary on the Theories of the Motions of Heavenly Objects from Their Arrangements" to friends who had circulated it among other astronomers/mathematicians. In 1533 Copernicus had also given lectures in Rome about his ideas, and in 1536 he made a formal request to publish his work. When Rheticus first traveled in 1538 to Nuremberg to visit astronomers there, he learned about Copernicus' ideas. Upon his return to Wittenberg in the spring of 1539, he immediately requested and received permission from Melanchthon to continue his leave of absence to visit Copernicus in Poland in late spring, before Luther's June 4, 1539, statement. Also, while the Copenican heliocentric model was later taught at Wittenberg, it was taught only as a convenient mathematical tool, not as a model of heliocentric reality that the earth revolves on its axis and orbits around a fixed sun. The Wittenberg interpretation of Copernicanism is discussed in Robert S. Westman's "The Melanchthon Circle, Rheticus and the Wittenberg Interpretation of the Copernican Theory" (Isis, 66:2, June 1975, 164-193). Despite many past Lutheran scientists (Michael Maestlin, Georg Samuel Doerffel, Ole Christensen Roemer, Daniel Gabriel Fahrenheit, Anders Celsius, Gottfried Wilhelm Liebnitz, Johann Carl Friedrich Gauss, Bernard Riemann (a PK! ), Friedrich Wilhelm Bessel, Georg Cantor, and Heinrich Rudolph Hertz), rejection of Copenricanism continued through centuries of Lutheranism even into the 20th century Lutheran Church-Missouri Synod. Rev. F. E. Pasche, a Missouri Synod pastor in Webster, S.D., published Bibel und Astronomie (Milwaukee: Germania Publishing Co., 1906, 419 pages) in which he attacked the Copernican theory. The book's subtitle reads "Proof that none of approximately sixty verses in which the Earth stands still and the sun and all the heavenly bodies are assigned to move, can be given an interpretation so that the reverse would be the case." Rev. A. F. Breihan, then president of the South Dakota District of the Missouri Synod wrote in the Foreword: "Astronomy is an exact science and is based on actual observation and research. All respect it. Copernican astronomy is not astronomy, but a 'higher' computational artificiality (Rechenkunstelei). Astronomy does not argue against the author of this book." "All human theories, therefore, which regard the earth’s existence as a part of the “solar system” as dependent upon the sun, especially the absurd fable which represents the earth as a particle thrown off from the sun and gradually cooling through countless aeons into the terrestrial globe upon which we dwell, are discredited as having no ground in fact and entirely unacceptable to Christian faith. Those who imagine that the Scripture passages, approximately sixty in number, in which the earth is said to stand still, and the sun and all stars are said to move, may be “interpreted” in such a way as if really the reverse were the case, we may leave to pursue their fruitless endeavors alone. 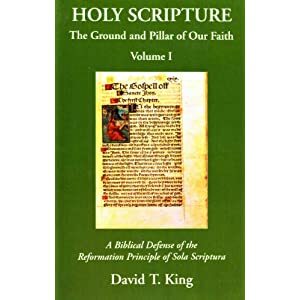 The Christian way is simply to accept Holy Scripture as it reads." One of the important things to me is that the quote in question is not something Luther wrote, but is purported to have said. The "shock" value of using such a quote is calling Copernicus a "fool." In my opinion, scholars of any persuasion should know better in citing the Table Talk. Before leaving to become a professor at the University of Liepzig, Georg Joachim Rheticus left the final oversight for publishing De revolutionibus to a Lutheran theologian and amateur astronomer, Andreas Osiander, who added the unauthorized Preface indicating the book merely proposed a convenient mathematical tool for astronomy, rather than proposing a heliocentric reality of the earth and other planets orbiting the sun. It was intention of Copernicus, who was on his deathbed when the work was published, to have his work mathematically describing the heliocentric reality. Ironically, Osiander's dishonest insertion may have allowed the widespead distribution of De revolutionibus without ruffling the feathers of the Roman Church, as Galileo Galilei did in the early 17th century, after he had discovered, with his improved telescope, moons orbiting Jupiter. In 1633 before the Inquisition Galileo was forced to recant that the earth moves around the sun and, according to legend, muttered under his breath, "Eppur si muove" ("And yet it moves"). Well, stranger things are known. But Sungenis does so with no excuse by way of ignorance - while driven by his defense of mother church. Why does Sungenis even bother with this Geocentrism stuff? Geocentrism has not been infallibly declared has it? Geocentrism has not been infallibly declared has it?" If so, how would they explain all the Foucault pendulums? There is no final proof of heliocentricity. It is, still, at bottom a philosophical and religious question, when it comes to whether you decide for one or the other. As a christian, you can hold the opinion that the earth is at the center of the universe, whithout embarassing yourself scientifically. The Foucault pendulum only signifies that something is moving. enranoss announced: "There is no final proof of heliocentricity. It is, still, at bottom a philosophical and religious question, when it comes to whether you decide for one or the other. As a christian, you can hold the opinion that the earth is at the center of the universe, whithout embarassing yourself scientifically. The Foucault pendulum only signifies that something is moving." There are two primary features of heliocentricity: 1) the earth (or any other planet in our solar system) orbits around the sun, 2) the earth rotates on its axis. In 1676 Lutheran astronomer Ole Roemer observed a variability in the measured timing of the orbital eclipses of Jupiter's moon, Io, and concluded that the speed of light was finite, not instantaneous as scientists had assumed. Roemer's explanation of the finite speed of light was based on the Earth's distance from Jupiter when it was on the same side or the far side of the sun, which meant that the Earth (and Jupiter) orbited the sun. It wasn't until 1838 that another Lutheran astronomer/mathematician, Friedrich Bessel used the parallax method along with the very slight difference in angle of the starlight measured six months apart to measure the distance to the star, 61 Cygni. The parallax method had been know for many centuries, but the needed precision of telescopic measurements was not available until Bessel's time. Later in 1838 two other astronomers also determined the distance to two other stars. The successful use of the parallax method proved the Earth orbited the sun, and not vice versa. In 1851 French physicist Léon Foucault built an 11-meter free-swinging pendulum in the Observatoire de Paris; later he demonstrated a 67-meter pendulum with a 28 kilogram bob suspended in the Pantheon (I saw that pendulum operating in 2000, before the cable snapped and the sphere was shattered in 2010). The oscillating path of the pendulum precesses relative to the floor (the floor is actually doing the rotation). The time the oscillating path of the pendulum takes for one complete precession varies with the latitude of the pendulum. At either pole, it is 24 hours. At the latitude of Paris (48°50') it takes 31 hours 52 minutes. At the equator, no precession occurs. The precession observed with the Foucault pendulum at locations around the world with different latitude demonstrated that the Earth rotates on its axis, as it orbits the sun in our solar system. Finally, the claim that the earth is at the center of the universe, may be reasonable in a philosophical sense, but in terms of 3-dimensional space, the universe has no measurable center. Two Lutherans? No wonder. The solar system was already established until Luther and the likes of him removed the earth from where it was in order to support their doctrine. Nicolaus Copernicus, Galileo Galilei, and Léon Foucault were Roman Catholic. Isaac Newton was Anglican turned anti-Trinitarian. Edwin Hubble was Christian turned deist. All of the examples, from Roemer, over Bessel to Foucault, are explicable in a geocentric system. In Foucault, the pendulum, from a heliocentric view, is in accordance with the stars - but it is just as possible that the stars are moving, although with great speed. Edwin Hubble considered the red-shift in light spectrum, a sign of the universal centrality of the earth. As far as I know, both Mach and Einstein were compelled to hold both systems as equal. And as yet, there just isn't any proof of the earth moving through Space. This is a question of what we really know, and what we don't. Everyone who can see, knows that something is moving; the rest is speculation, but, I would say, in favor of geocentrism. Something that seems to be in accordance whith Scripture. enranoss: All of the examples, from Roemer, over Bessel to Foucault, are explicable in a geocentric system. A geocentric model would only be a mathematical model, not a realistic one. In Foucault, the pendulum, from a heliocentric view, is in accordance with the stars - but it is just as possible that the stars are moving, although with great speed. In addition to its periodic oscillations, Foucault's pendulum appears to precess because it is the floor that actually moves, fixed to a rotating Earth, even in a building with no windows to see the stars. While stars also have their own movement, they and any astronomical objects further than 950 billion miles away from Earth would have to move faster than the speed of light in a geocentric system. I mentioned Edwin Hubble because he was one of the first to identfy other galaxies in the universe besides our own Milky Way. Hubble also provided what is called the "Hubble Constant" to fit into "Hubble's Law, which was actually developed by Georges Lemaître. And as yet, there just isn't any proof of the earth moving through Space. There is much evidence that it is the earth that revolves and moves through space around the sun and not the sun moving around the earth - in addition to the famous Foucault pendulum (which can be set up in an elementary school) and Bessel's parallax measurements, there are the Coriolis effect, seen in hurricanes; Earth's weather patterns; the equatorial bulge; stellar aberration, which was discovered by James Bradley in 1725; the Doppler effect of starlight observed as Earth orbits the sun; the geostationary satellites that are used in our GPS and communications systems; and pretty much the entire understanding of our solar system's movement (at 500,000 mph) around the center of the Milky Way galaxy, which along with some 50 other galaxies form the Local group, which along with 100 other groups is part of the 200 million-light-year-wide Virgo Supercluster, as it moves, along with other superclusters, at about 14 million mph, toward what has been called the Great Attractor, which has the mass of about 50 million galaxies. Yep, we're talking about us moving through space here! Coriolis, Bradley, Doppler, but Georges Lemaitre!, oh, well anyway, give it up. No proofs. Both are mathematical models, only with that difference that one of them is visible for every man to see, as well as it is acknowledged by Scripture. I emphasize, that all the observed phenomena, including the pendulum, are explicable inside the modified, Thyconic geocentric model. As for speed of 14 million mph, which is of a magnitude 75 times!!! the speed of light, you don't seem to have any hesitance. Surely we are somewhere, and not nowhere as you are suggesting. Because the question is, with your alleged speed, from were to whence; that is in relation to what is the speed measured? The Scripture says, the sun rises and the sun sets. If the earth doesn't revolve or circle around the sun, that gives a very high speed to the stars, and galaxies. But much shorter distancies are then given to these celestial phenomena. Every "proof", mr Vehse, that you have given, is explicable in the Thyconic system. Apart from the extreme velocities that you approve of, you also seem to be unaware of the importance of other implications this copernican speculation give as a result. enranoss: "I emphasize, that all the observed phenomena, including the pendulum, are explicable inside the modified, Thyconic geocentric model." The Tychonic model has the planets orbiting around the sun, which along with the moon orbits around a fixed earth. The Foucault pendulum is no more explicable in the mostly geocentric Tychonic model than in a completely geocentric model. "As for speed of 14 million mph, which is of a magnitude 75 times!!! the speed of light, you don't seem to have any hesitance." The speed of light in vacuum is approximately 671 million miles per hour. Rather than 75 times the speed of light, 14 million mph is only 2 percent the speed of light. "Surely we are somewhere, and not nowhere as you are suggesting. "Because the question is, with your alleged speed, from were to whence; that is in relation to what is the speed measured?" The Scripture says, the sun rises and the sun sets. The Scripture also figuratively says the rivers clap their hands and the mountains sing together. But much shorter distancies are then given to these celestial phenomena." IOW, the much shorter distances mean the celestial phenomena like the billions of galaxies (each containing billions of stars) would have to fit within a fraction of the distance to the nearest star to our solar system, Proxima Centauri. Nope. Every "proof", mr Vehse, that you have given, is explicable in the Thyconic system. No, it is not. The Tychonic (referring to Tycho Brahe) model is just a variant of the geocentric system. While some people may think the moon's orbit around the sun looks something like this, or this, or maybe this, the moon's orbit around the sun is more like this convex polygon, which is a triskaidecagon with 13 rounded corners.